Beginning with Roquiah Sakhawat Husseins Sultana's Dream, the anthology spans a hundred years of women's writing from this region and is representative of the variety of issues that women from Bangladesh tackle in their writings. It includes stories about the War of Liberation, womens shonour, mother-daughter relationships, the vagaries of marriage and contemporary political corruption. 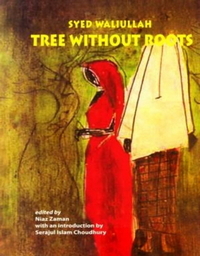 Well-established and award-winning women writers such as Selina Hussain, Rabeya Khatoon, Nasreen Jahan, Purabi Basu, and Shaheen Akhtar along with emerging writers who are beginning to make their mark have been represented here, the better to evoke the broad range of women's literary voices. Galpa has been co-edited by Firdous Azim and Niaz Zaman, professors of English at the University of Dhaka, who have earlier collaborated on Infinite Variety, Bhinno Chokhe, and Different Perspectives.